Shortly after receiving word that FORTRUST had earned Uptime Institute’s Tier Certification for Operational Sustainability (Gold) for Phase 7 of its Denver data center, Rob McClary, the company’s executive vice president and general manager, discussed the importance of management and operations and how FORTRUST utilizes Uptime Institute’s certifications to maintain and improve its operations and gain new clients. Q: Please tell me about FORTRUST and its facilities. FORTRUST is a multi-tenant data center (MTDC) colocation services provider. Our main data center is a 300,000 square foot facility in Denver, and we have been operating as privately owned company since 2001, providing services for Fortune 100, 500, and 1000 companies. Q: You recently completed a new phase. How is it different than earlier phases? The big change is that we started to take a prefabricated approach to construction for phase 6, and instead of traditional raised floor we went to data modules, effectively encapsulating the customers’ IT environments, which increased our per rack densities and subsequent efficiencies both from a cooling and a capital standpoint. One of the biggest trends in the industry that needs a course correction, is that data centers are not being allowed to evolve as they need to. We keep trying to build the same data centers over and over. The engineers and general contractors and even the vendors just want to do what they have always done. And I think the data centers are going to have to become capital efficient. When we made that change to a modular approach, we reduced our capital outlay and started getting almost instantaneous return on the capital. Q: How did you ensure that these changes would not reduce your availability? For Phase 6a, we were trying to get used to the whole modular approach in a colocation environment. We had Uptime Institute review our designs. As a result, we earned the Tier Certification of Design Documents. We planned to go further and do the Tier Certification of Constructed Facility as well, but Uptime Institute helped us determine that it would be better to do the Tier Certification of Constructed Facility in an upcoming phase (7) because we already had live customers in phase 6A. And, as you know, about half the customers in a colo facility have at least one piece of single-corded equipment in their IT environment. To address this, we worked with Uptime Institute consultants to adapt what Uptime Institute normally does during Tier Certification of Constructed Facility when there are usually no live customers. And we pursued Uptime Institute’s M&O Stamp of Approval. This helped us understand the whole modular approach and how we would approach these circumstances going forward. At the same time we became one of the earlier Uptime Institute M&O Stamp of Approval sites. Q: Why has FORTRUST adopted Uptime Institute’s Operations assessments and certifications? We are big believers that design is only a small part of uptime and reliability. We focus 90% of our effort on management and operations, risk mitigation, and process discipline, doing things in a manner that prevents human error. That’s really what’s allowed us to achieve continuous uptime and have high customer satisfaction for such a long time. I’d say we’re known for our operations and a level of excellence, so the Tier Certification of Operational Sustainability validated things that we have been doing for many years. It also allowed us to take a look at what we do from a strategy and tactical standpoint by essentially giving us a third-party look into what we think is important and what someone else might think is important. We’ve got a lot of former military folks here, a lot of former Navy. That approach may influence our approach. The military conducts a lot of inspections and audits. You get used to it, and it becomes your chance to shine. So the Tier Certification of Operational Sustainability allows our people to show what they do, how they do it, and the pride they take in doing it. It gives them validation of how well they are doing, and it emphasizes why it is important. The process re-emphasizes why it is so important to have operational strategies and your tactics aligned in a harmonious fashion. A lot of people in the data center industry get bogged down in checklists, best practices and trying to use them to compare data centers, and about 50 percent of it is noise, which means tactics without strategy. If you have your strategies in place and your tactics are aligned with your strategies, that’s much more powerful than trying to incorporate 100 best practices in your day-to day-ops. So doing 50 things very well is a better thing than do 100 things halfway. Q: Did previously preparing for the M&O Stamp of Approval help you prepare for the Tier Certification of Operational Sustainability? Absolutely. One reason we scored so well on the Tier Certification of Operational Sustainability was that we looked at our M&O 3 years ago and implemented the suggested improvements right away, and we were comfortable because we’ve had those things in place for years. Q: What challenges did you face? You make it sound easy. The biggest challenge for us during both the Tier Certification Constructed Facility and Tier Certification of Operational Sustainability was coordinating with Uptime Institute in a live colo environment with shared systems that weren’t specific to one phase. It was pretty much like doing surgery on a live body. We were confident in what we were doing. Obviously the Tier Certification of Operational Sustainability is centric around documentation, and we’ve been known for process discipline and our procedural compliance for over 14 years of operations. It’s our cornerstone; it’s what we do very well. We literally don’t do anything without a procedure in hand. We think design is the design. Once you build the data center and infrastructure after that it is all about management and operations, so management, operations, and risk mitigation is what will give you the long track record of success. At the end of the day, if the biggest cause of outages in data centers is human error, why wouldn’t we put more emphasis on understanding why that happens and how to avoid it? To me, that’s what the M&O and Tier Certification of Operational Sustainability are all about. Q: It’s obvious you consider procedures a point of differentiation in the market. How do you capitalize on this difference to new customers? We show it to them. Part of our sales cycle includes taking the customer through the due diligence that they want to do and what we think they need to do. We make available hundreds of our documented procedures. We show them how we manage them. When we take a potential customer through our data center, it’s a historical story that we put together that starts with reliability, risk mitigation, business value and customer service. Customers cannot only hear it and see the differences, but they can also feel it. If you have been in a lot of data centers, you can walk through the MEP or colo areas and maybe in 10-15 minutes, you can tell if there’s a difference in the management and operations philosophy. It’s quite apparent. That’s always been our call to action. It’s really educating the customer on why the management and ops are so important. We put a lot of emphasis and resource in mitigating and eliminating human error. We devote probably 80-90% of our time in training, process discipline, and procedural compliance. That’s how we operate day to day. Q: What are the added costs? Actually this approach has less cost. I would challenge anyone who is outsourcing most of their maintenance and operations and even management because we’re doing it cheaper and we’re doing more aggressive predictive and preventive maintenance than most any data center. It’s really what we call an operational mindset and that can rarely be outsourced. Your personnel have to own it. We don’t have people coming in to clean our data centers. Our folks do it. We do the majority of the maintenance in the facility, and the staff owns it. We don’t do a lot of corrective maintenance. Corrective maintenance currently costs on the magnitude of 10 times the cost of a comprehensive preventive and predictive maintenance program. I can show proof because we have been operating for 15 years now. I would dare anyone to tell me what part of that data center or which one of our substations, switchgear, or other equipment components are 15-years old and which are the new ones. It would be hard to tell. I think there are too many engineering firms and GCs that try to influence the build in a manner that isn’t necessary. Like I said, they try to design around human error instead of spending time preventing it. Rob McClary is executive vice resident and general manager at FORTRUST Data Centers. Since joining FORTRUST in 2001, he has held the critical role of building the company into a premier data center services provider and colocation facility. Mr. McClary is responsible for the overall supervision of business operations, high-profile construction, and strategic technical direction. 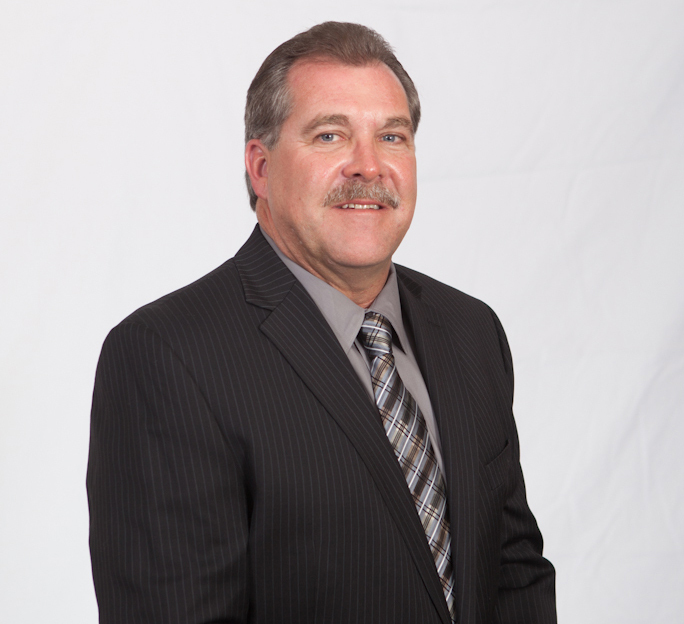 He developed and implemented the process controls and procedures that support the continuous uptime and reliability that FORTRUST Denver has delivered for more than 14 years.